A 56-year old woman has won a fierce battle with a leopard in India. 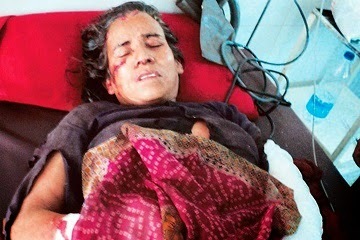 Kamla Devi, from Uttarakhand, was attacked while working in a field near her village, the Hindustan Times reports. She fought the big cat with a sickle and axes and sustained bites and fractures in the attack. Devi told reporters she was terrified at first but discovered her courage and promised herself it was not her “last day” on Earth. “I fought head on with it for almost half an hour. Then I came to know it was dead,” she told local reporters. Doctors were reportedly surprised she had survived the attack. Devi’s fight comes after a group leopards recently killed another woman in the area.